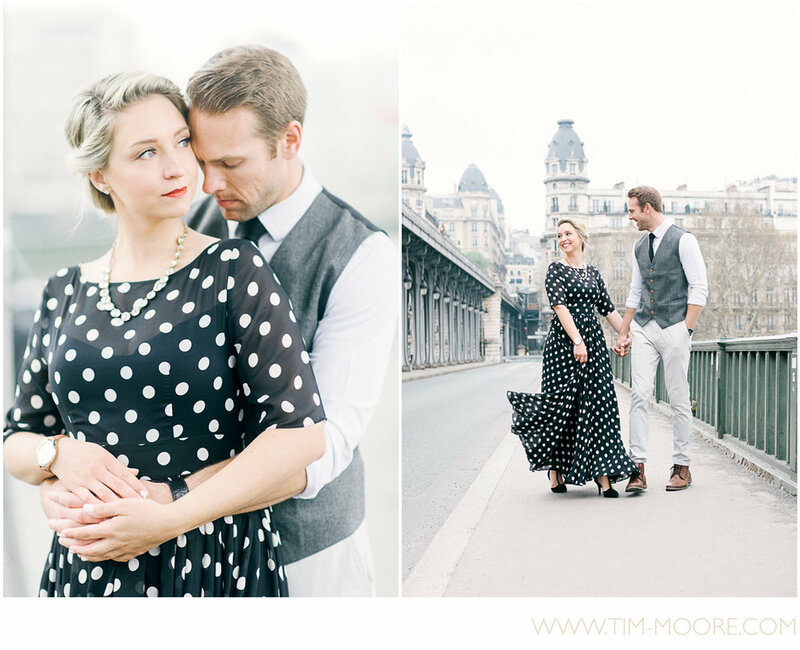 Today I want to share a bit of the story of Brooke and Doug, and of course a few images from their photo shoot in Paris. When Brooke got in touch with me, I was above flattered. What on earth could be more rewarding than a professional photographer wanting you to take pictures of her love story in Paris? And then she told me a bit more about their story and how they met 7 years ago in college while both working in a greek restaurant. Those who know me well are aware of how I love Greece for obvious reasons, so I was more than thrilled to meet them in Paris and be their photographer. Brooke also mentioned that they were not necessarily used to be on the other side of the lens and that they might be shy. Well, I wish all my clients were as "shy" as these two were. I always give a lot of advices before and during the photo session but there was something special about my couple of the day. Actually, Brooke and Doug are husband and wife, but also best friends and I could truly feel a deep complicity between them during the photo session. Now that you know a little bit more about the story behind this Paris photography session, let's enjoy a few images. If you are also planning to visit France and are looking for a photographer in Paris to tell your Love Story, let's GET IN TOUCH to make it a perfect moment!